When you’re ready to get behind the wheel of a new Mazda for sale in Manchester, stop by the lot at Mazda of Manchester! Our sales staff is waiting to help you find the new Mazda that best suits your driving needs. Be sure to keep an eye out for our new vehicle specials, and make the trip to our dealership when you’d like to take a tour and test drive of the model of your choice! If you have any questions in the meantime, be sure to contact us at your convenience. 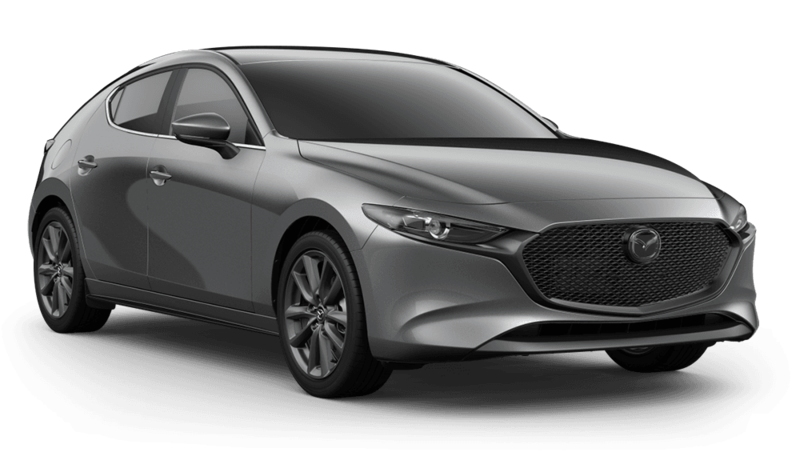 We’re conveniently located in Manchester and want to be your first destination for new Mazda sales! 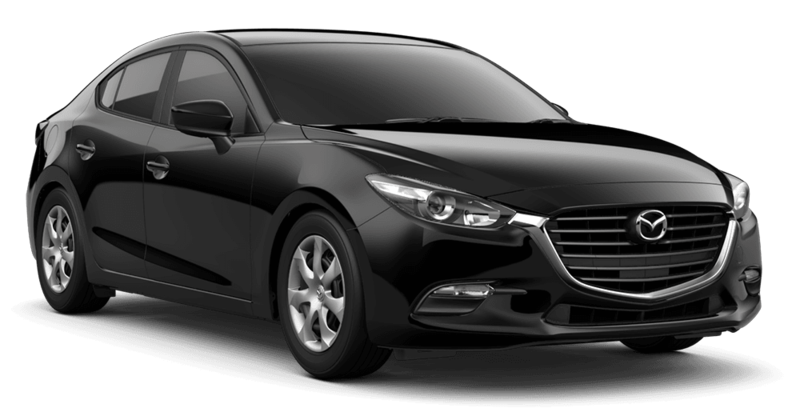 If you already have your eye on a particular Mazda model, check out how you can accessorize! 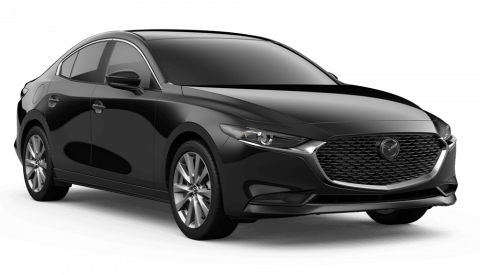 This 2018 Mazda Mazda3 Standard features include: Bluetooth, Remote power door locks, Power windows with 1 one-touch, Heated drivers seat, Automatic Transmission, 4-wheel ABS brakes, Air conditioning with dual zone climate control, Cruise control, Audio controls on steering wheel, Traction control - ABS and driveline, 184 hp horsepower, 2.5 liter inline 4 cylinder DOHC engine, 6-way power adjustable drivers seat, Head airbags - Curtain 1st and 2nd row, Heated passenger seat, Passenger Airbag, Power heated mirrors, Tilt and telescopic steering wheel, 4 Doors, Front-wheel drive, Fuel economy EPA highway (mpg): 35 and EPA city (mpg): 26, External temperature display, Tachometer, Clock - In-dash, Daytime running lights, Dusk sensing headlights, Front seat type - Bucket, Keyless Ignition - Doors and push button start, Overhead console - Mini with storage, Rear bench seats, Rear spoiler - Lip, Rear wiper, Satellite communications - MAZDA CONNECT, Signal mirrors - Turn signal in mirrors, Speed-proportional power steering, Tire pressure monitoring system, Trip computer, Video Monitor Location - Front... Carter of Manchester has been named 2015 and 2014's Dealer Rater, Chevy Dealer of the Year Award Winner as well as 2014 & 2013's Mazda Dealer of the Year in the state of Connecticut! 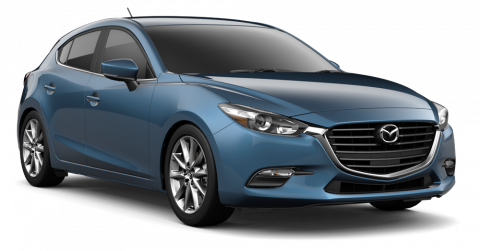 Mazda of Manchester has also been named a Mazda Gold Cup Dealer for 2015! This 2018 Mazda Mazda6 Standard features include: Bluetooth, Remote power door locks, Power windows with 4 one-touch, 4-wheel ABS brakes, Air conditioning with dual zone climate control, Audio controls on steering wheel, Traction control - ABS and driveline, 187 hp horsepower, 2.5 L liter inline 4 cylinder DOHC engine with variable valve timing, Head airbags - Curtain 1st and 2nd row, Passenger Airbag, Multi-function remote - Trunk/hatch/door/tailgate, Power mirrors, Tilt and telescopic steering wheel, Front-wheel drive, Fuel economy EPA highway (mpg): 35 and EPA city (mpg): 26, 4 Doors, External temperature display, Tachometer, Trip computer, Video Monitor Location - Front, Overhead console - Mini with storage, Clock - In-dash, Satellite communications - MAZDA CONNECT, Speed-proportional power steering, Daytime running lights, Keyless Ignition - Push button start only, Tire pressure monitoring system, Self-leveling headlights - Self-leveling, Signal mirrors - Turn signal in mirrors, Stability control, Front seat type - Sport, Rear bench seats, Intermittent window wipers, Privacy/tinted glass, Cylinder Deactivation... Carter of Manchester has been named 2015 and 2014's Dealer Rater, Chevy Dealer of the Year Award Winner as well as 2014 & 2013's Mazda Dealer of the Year in the state of Connecticut! 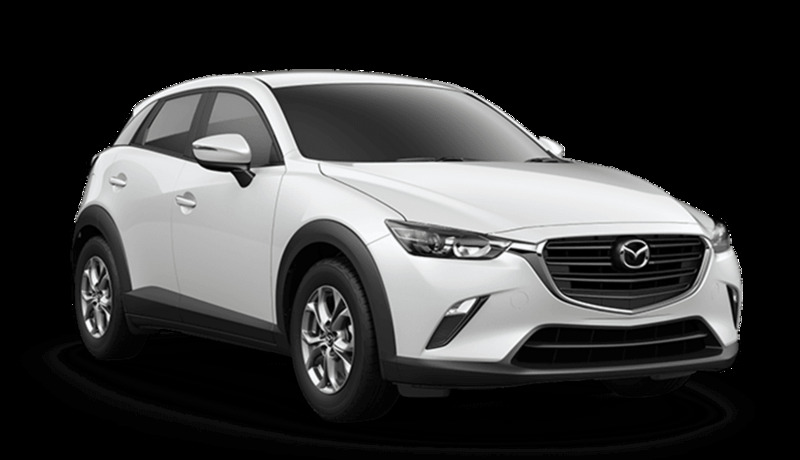 Mazda of Manchester has also been named a Mazda Gold Cup Dealer for 2015! 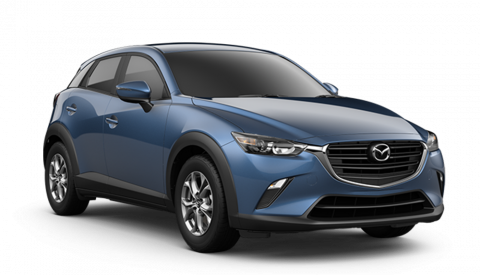 This 2019 Mazda CX-3 Standard features include: Bluetooth, Remote power door locks, Power windows with 1 one-touch, Automatic Transmission, 4-wheel ABS brakes, Air conditioning, Audio controls on steering wheel, Traction control - ABS and driveline, 148 hp horsepower, 2 liter inline 4 cylinder DOHC engine, Head airbags - Curtain 1st and 2nd row, Passenger Airbag, Power mirrors, Tilt and telescopic steering wheel, 4 Doors, All-wheel drive, Fuel economy EPA highway (mpg): 32 and EPA city (mpg): 27, External temperature display, Tachometer, 4WD Type - Automatic full-time, Clock - In-dash, Daytime running lights, Front seat type - Bucket, Interior air filtration, Intermittent window wipers, Keyless Ignition - Push button start only, Privacy/tinted glass, Rear bench seats, Rear spoiler - Lip, Rear wiper, Satellite communications - MAZDA CONNECT, Signal mirrors - Turn signal in mirrors, Speed-proportional power steering, Stability control, Tire pressure monitoring system, Transmission hill holder, Trip computer, Video Monitor Location - Front, Rear defogger... Carter of Manchester has been named 2015 and 2014's Dealer Rater, Chevy Dealer of the Year Award Winner as well as 2014 & 2013's Mazda Dealer of the Year in the state of Connecticut! 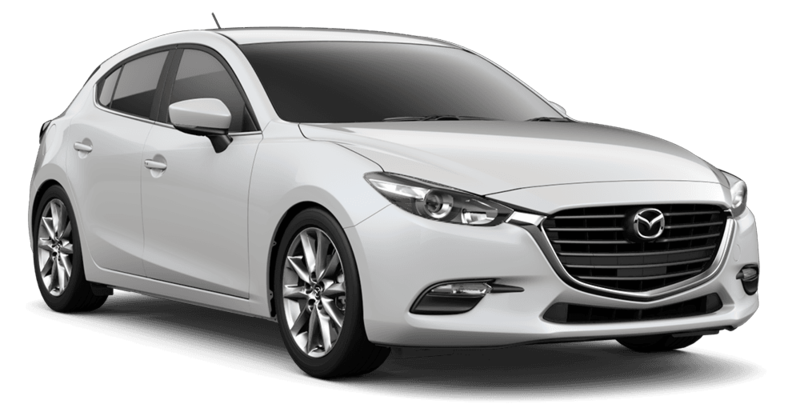 Mazda of Manchester has also been named a Mazda Gold Cup Dealer for 2015! This 2018 Mazda Mazda6 Standard features include: Bluetooth, Remote power door locks, Power windows with 4 one-touch, Heated drivers seat, Sunroof - Express open/close glass, Automatic Transmission, 4-wheel ABS brakes, Air conditioning with dual zone climate control, Adaptive cruise control, Audio controls on steering wheel, Traction control - ABS and driveline, 187 hp horsepower, 2.5 liter inline 4 cylinder DOHC engine, 6-way power adjustable drivers seat, Head airbags - Curtain 1st and 2nd row, Heated passenger seat, Multi-function remote - Trunk/hatch/door/tailgate, Passenger Airbag, Power mirrors, Tilt and telescopic steering wheel, 4 Doors, Front-wheel drive, Fuel economy EPA highway (mpg): 35 and EPA city (mpg): 26, External temperature display, Tachometer, Clock - In-dash, Cylinder Deactivation, Intermittent window wipers, Keyless Ignition - Doors and push button start, Overhead console - Mini with storage, Privacy/tinted glass, Rain sensing window wipers, Satellite communications - MAZDA CONNECT, Signal mirrors - Turn signal in mirrors, Speed-proportional power steering, Trip computer, Video Monitor Location - Front... Carter of Manchester has been named 2015 and 2014's Dealer Rater, Chevy Dealer of the Year Award Winner as well as 2014 & 2013's Mazda Dealer of the Year in the state of Connecticut! Mazda of Manchester has also been named a Mazda Gold Cup Dealer for 2015! This 2019 Mazda CX-3 Standard features include: Bluetooth, Remote power door locks, Power windows with 1 one-touch, Heated drivers seat, Automatic Transmission, 4-wheel ABS brakes, Air conditioning with climate control, Audio controls on steering wheel, Traction control - ABS and driveline, 148 hp horsepower, 2 liter inline 4 cylinder DOHC engine, Head airbags - Curtain 1st and 2nd row, Heated passenger seat, Passenger Airbag, Power heated mirrors, Tilt and telescopic steering wheel, 4 Doors, All-wheel drive, Fuel economy EPA highway (mpg): 32 and EPA city (mpg): 27, External temperature display, Tachometer, 4WD Type - Automatic full-time, Clock - In-dash, Intermittent window wipers, Keyless Ignition - Doors and push button start, Overhead console - Mini with storage, Privacy/tinted glass, Rain sensing window wipers, Rear bench seats, Rear spoiler - Lip, Rear wiper, Satellite communications - MAZDA CONNECT, Signal mirrors - Turn signal in mirrors, Speed-proportional power steering, Stability control, Tire pressure monitoring system, Transmission hill holder, Trip computer, Video Monitor Location - Front... Carter of Manchester has been named 2015 and 2014's Dealer Rater, Chevy Dealer of the Year Award Winner as well as 2014 & 2013's Mazda Dealer of the Year in the state of Connecticut! Mazda of Manchester has also been named a Mazda Gold Cup Dealer for 2015! 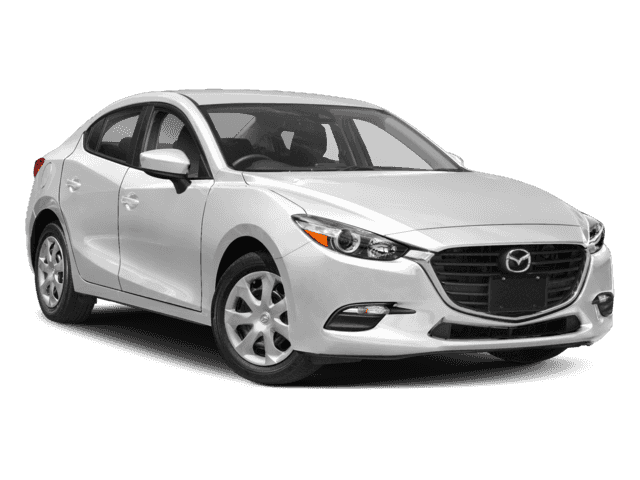 This 2019 Mazda Mazda3 Carter of Manchester has been named 2015 and 2014's Dealer Rater, Chevy Dealer of the Year Award Winner as well as 2014 & 2013's Mazda Dealer of the Year in the state of Connecticut! 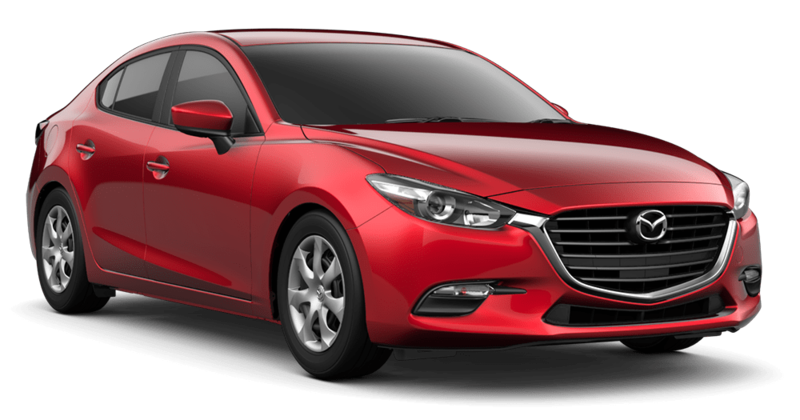 Mazda of Manchester has also been named a Mazda Gold Cup Dealer for 2015!